Some sat attentively to absorb the re-assuring messages. Others screamed and raised their hands in approval. 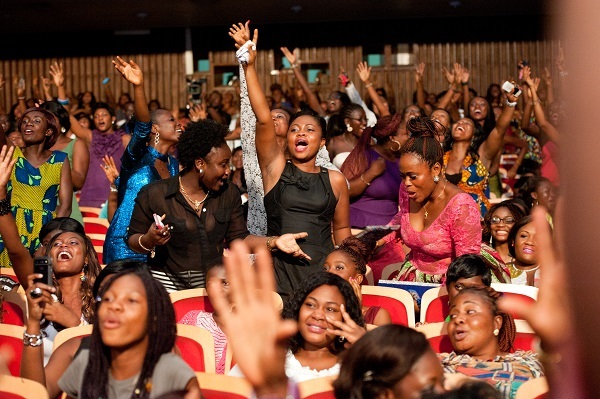 Whichever way, the hundreds of women who gathered at Afro-Pop singer, Becca’s Girl Talk show at the National Theatre in December last year seemed to share the viewpoint expressed by the singer and other female speakers that women everywhere deserved respect at all times and that they could work hard to achieve their dreams. 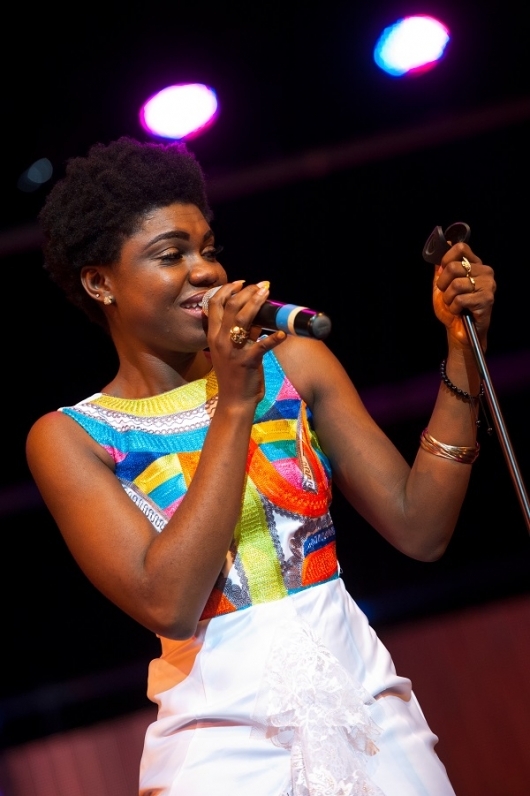 Rallying women to be strong and focused has been Becca’s resolve since 2011 when she held the first Girl Talk concert. It expressed a willingness by the young lady to shepherd the drive for women to always see the big picture and reach for it. The Girl Talk show targets an all-female audience with performances and pep talk on a variety of issues by prominent females in society. “I’m not a politician. I’m not a saviour. I’m not anybody’s psychiatrist. I’m just another young woman who wants to use my talent in music to create a platform for discussion about empowerment and ambition,” says the lady, born Rebecca Acheampong but now known simply as Becca. Her African Woman song on her Time 4 Me album extols the beauty and positive characteristics of black women and mentions some of the great black women achievers across the world. Becca first hit the music scene in late 2007 with her 12-track debut album titled Sugar. 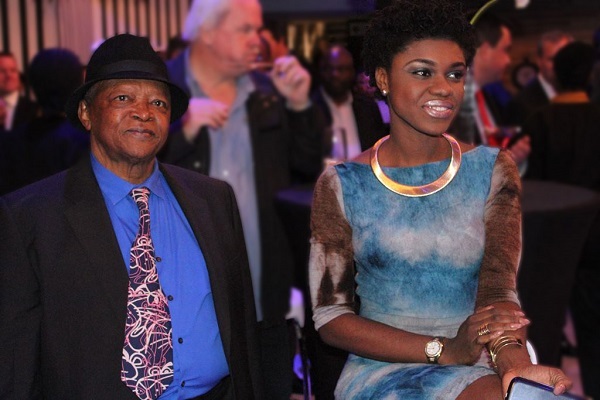 The collection featured artistes such as Hugh Masekela, Kwabena Kwabena and King Ayisoba. Songs on the album that won many hearts for the young lady included I Love You , Why, Hey –Baa, Naughty Girl, Ghana and You Lied To Me. Since the maiden album, she has bloomed into an award-winning performer with fans beyond our shores. It was Becca’s growing popularity on the international front that earned her the status of a Goodwill Ambassador for UNAIDS earlier this year. She took on the position with pride which was unfortunately sorely wounded last September at the Baba Yara Stadium in Kumasi prior to the Ghana vs Zambia Brazil 2014 World Cup qualifying match. She was slated to sing the Ghana national anthem at the match but somebody prevented it at the last minute, leaving her sad and angry. She publicly expressed her displeasure at the incident when she spoke at a United Nations cultural programme at Alliance Francaise in Accra a few weeks ago. “A directive had come from an authority or perhaps authorities, that I should not sing the national anthem anymore. The authority had, at the last minute, remembered that my being a woman apparently was bad omen. In other words, because I could menstruate, I was unworthy of singing our anthem. At least that was the explanation given to UNAIDS when they sought to know why an event that had cost precious time and effort to conceive and hatch was dumped,” Becca said at the UN cultural event. She is peeved for the rejection based simply on her gender. The pretty singer says though several people in high positions have talked to her to forget about the issue, she feels the way it happened strengthens her conviction that women are still not given enough respected in our society. “The issue now is not merely about Becca. It is about a wider problem in our society that affects every woman. 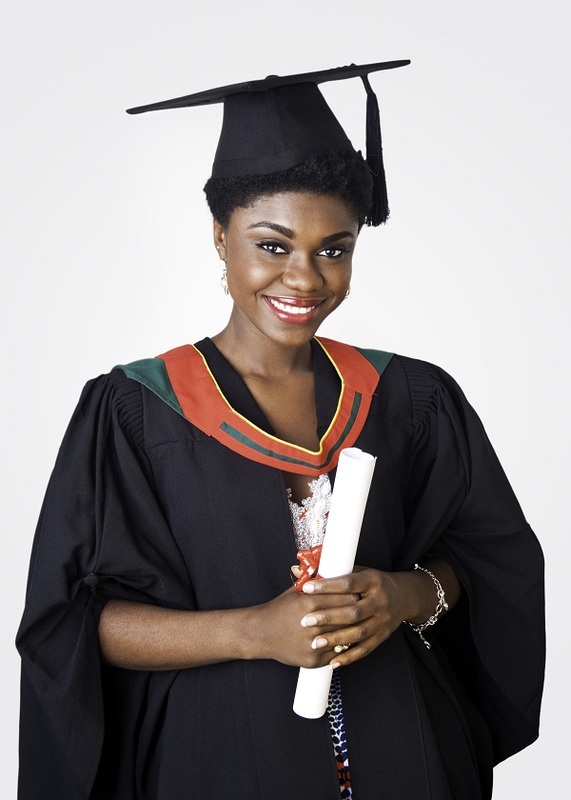 This sort of thing would not stop until all women get very vocal about it and demand better treatment in all aspects of our lives,” said Becca who graduated with a First Class Bachelor’s degree in Project Management from Greenhill College, Ghana Institute of Management and Public Administration(GIMPA) in Accra, last year. This year’s Girl Talk show comes off at the National Theatre on December 20 ,and it is very likely some reference will be made to the Baba Yara Sports Stadium incident. What Becca wants for all the women planning for the show is to come and relax, enjoy some good entertainment and contribute to whatever would be discussed at the event. “ The theme for this year’s show is ‘Love.’ It is a very broad topic so we will delve into the different kinds of love and people will share their experiences. “Can you say you love your woman when you beat her up and buy her expensive gifts later? We will be very interactive. Everybody in the auditorium is going to be part of the show,” she stated. According to her, there will be sale of clothes, accessories and other stuff for women in the forecourt of the National Theatre on December 18 and December 19. Everything on sale would be solely from Ghanaian women fashion designers and craftmakers at heavily discounted prices. Becca sees Girl Talk as becoming a prototype for women everywhere angling for esteem and better recognition. She believes this year’s event will definitely get the all-female audience and other sections of society talking and thinking. Becca: Bursting with womanist pride 0 out of 5 based on 0 ratings. 0 user reviews.